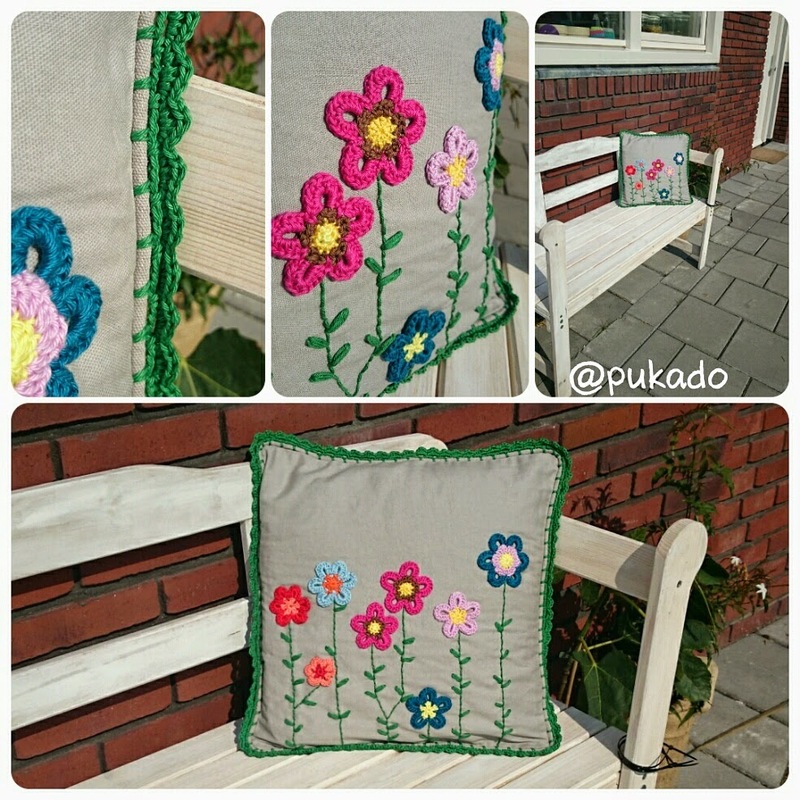 I just finished my flower cushion cover and I was loving it. It looked so bright and happy. Then I spotted the canvas I had stuck in a corner, I had the idea of making something artsyfartsy for my living room wall. I wanted something bright and happy above the sofa. I had a million ideas, but none of them I was able to realise. But then it hit me! 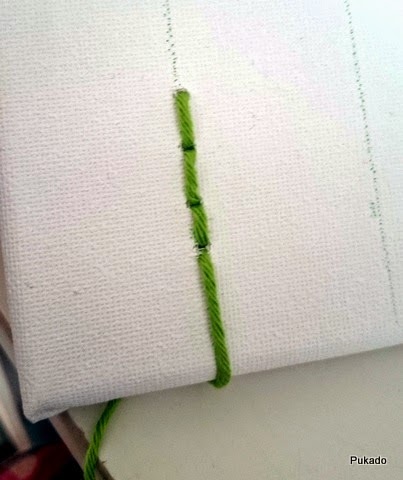 Why not recreate the cushion cover on canvas? So I made a bunch of flowers and just went from there on.. and it worked and I'm totally in love with it! 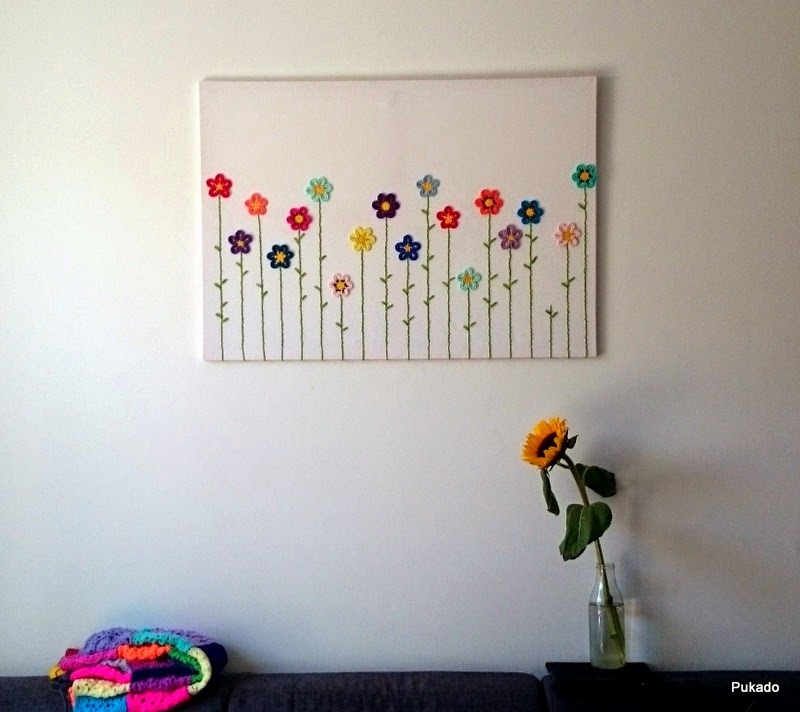 It's hanging above the sofa, injecting color and happiness in my living room! The feedback I received on facebook/instagram was overwhelming and amazing. 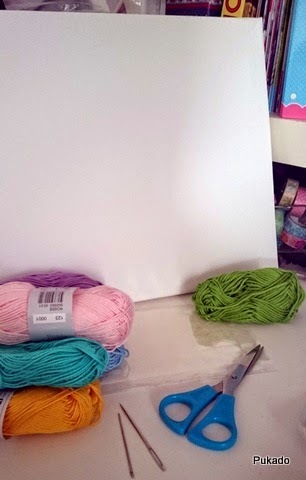 So I will be recreating the canvas, a bit smaller, as the original is 100cm by 70 cm. And I just notice there is a flower missing in the original canvas! Haha! Will fix that! The canvas I will be using for this is 30cm by 40cm. 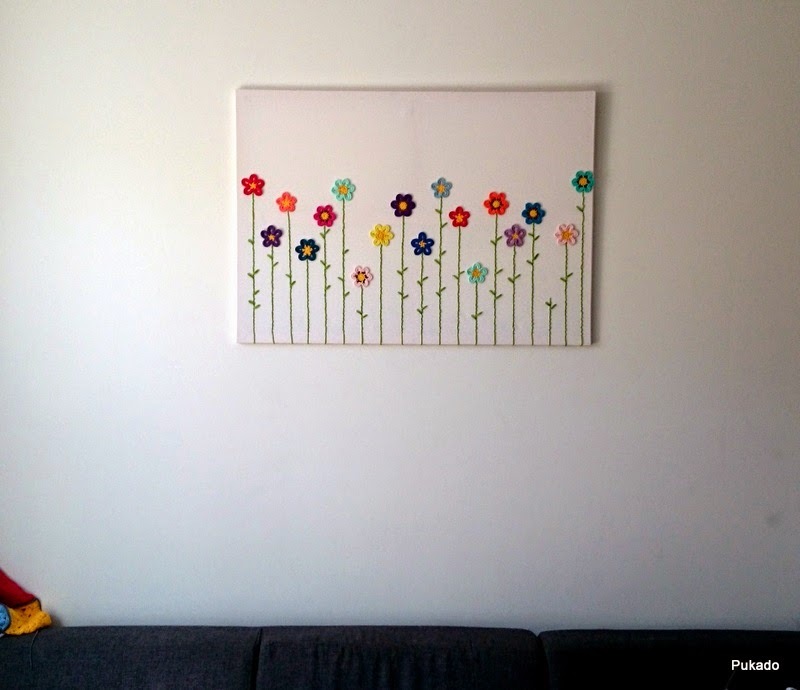 Take the width of your canvas and calculate how many flowers you will need. 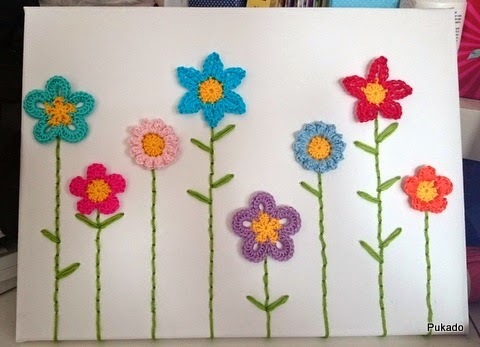 I have 40cm and will add a flower every 4 or 5 cm, I like it a bit uneven. So I will need 8 flowers. 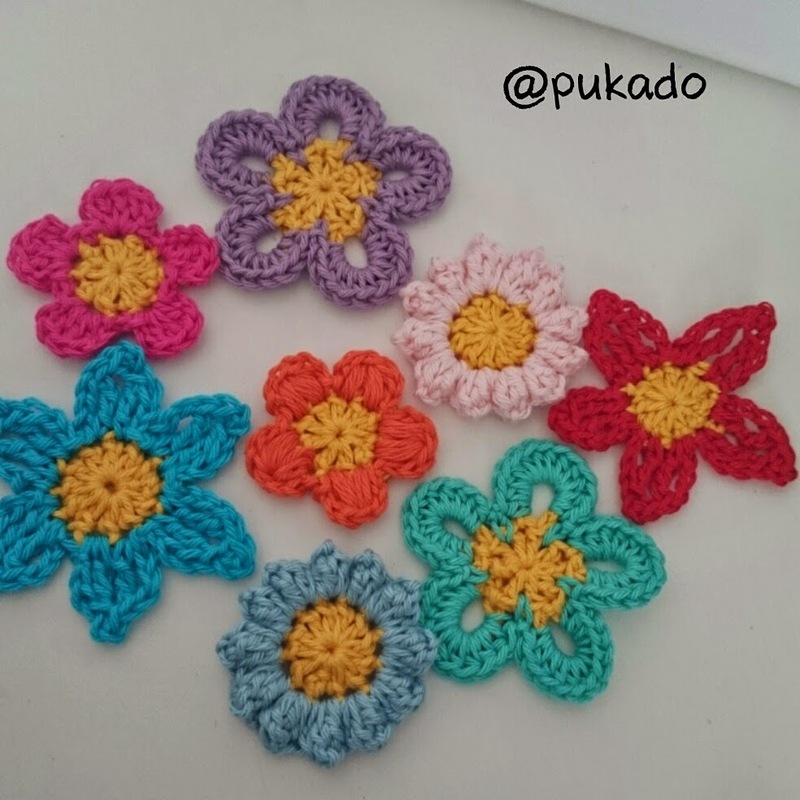 Crochet 8 flowers of your choice. 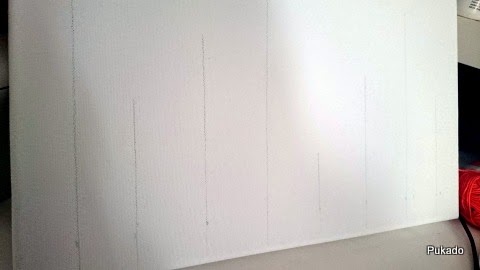 Draw lightly with a pencil lines on your canvas. Take your Green Catania Grande for the stems and your needle. 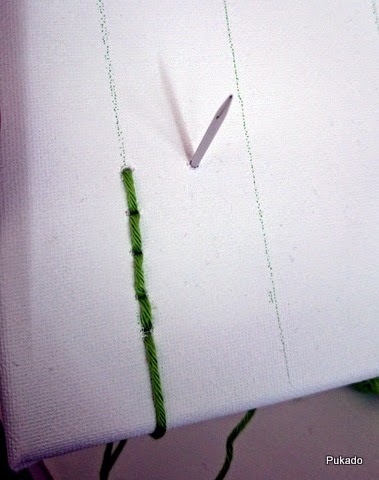 Insert needle from back to front, just above the wood on your line. 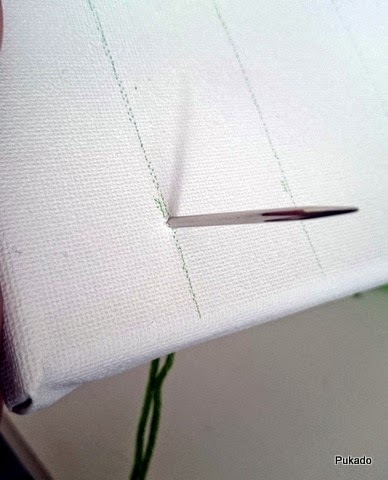 Go around the canvas and insert your hook again from back to front. 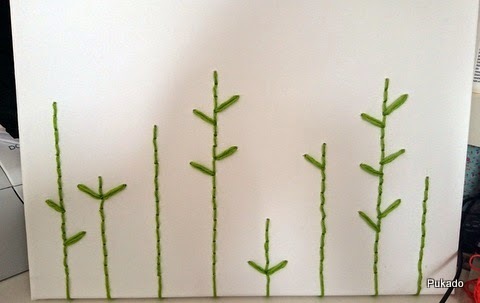 Stitch along the line evenly (not too even, as nature is not always evenly as well). 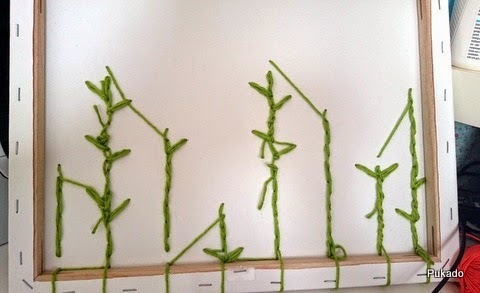 For the leaves, insert needle to the side of the stem and stitch 3 times in the same stitch. 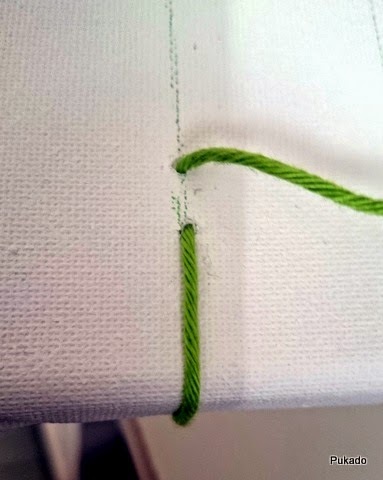 Repeat stitching along the lines, adding randomly leaves to the stem. 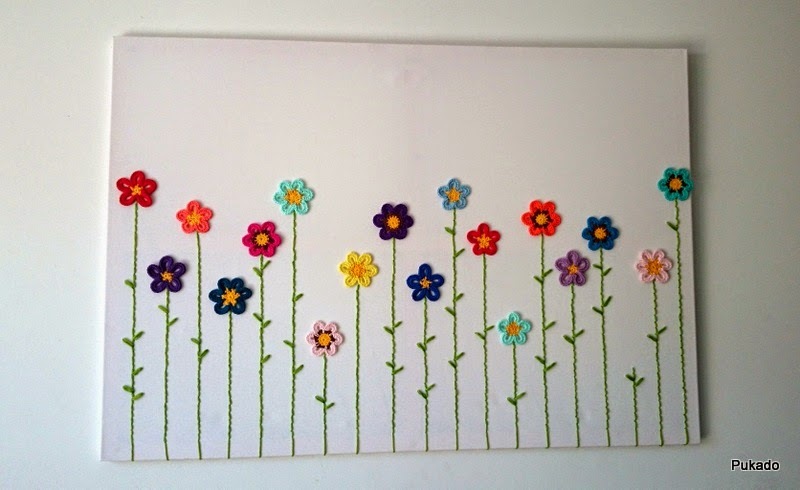 With sticky dots or a glue gun attach flowers to canvas on top of stems. 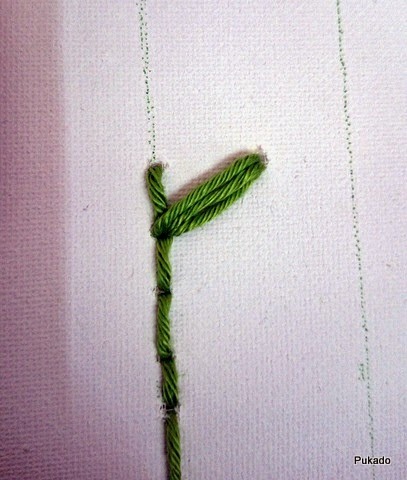 To make it secure, add some stitches to each centre of flower. please provide a link to the shop (www.pukado.etsy.com) for the pattern. I love it so much! I'm definitely going to make one! This is right up my alley! So simplistically beautiful :) Thank you. too cool! 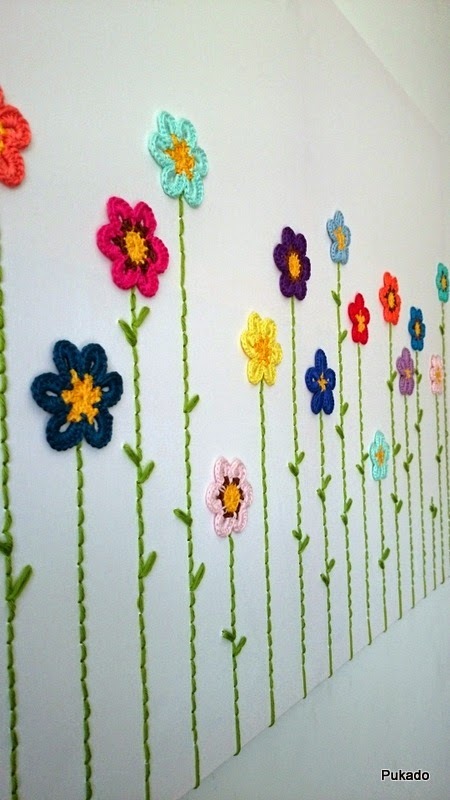 love this and it would be perfect for a project for the granddaughters room! Wow!lovely! Good work! will definitely try. What a great idea! Any chance you could share the patterns you used for the flowers? Hi, the flowers are really simple. Just make a centre of DC, depends on how many DC for petals - 10DC=5 petals, 12DC=6petals. R3, *10SC (or 12SC or 14SC etc..) around CH5, SLST in same st as R2* repeat around.